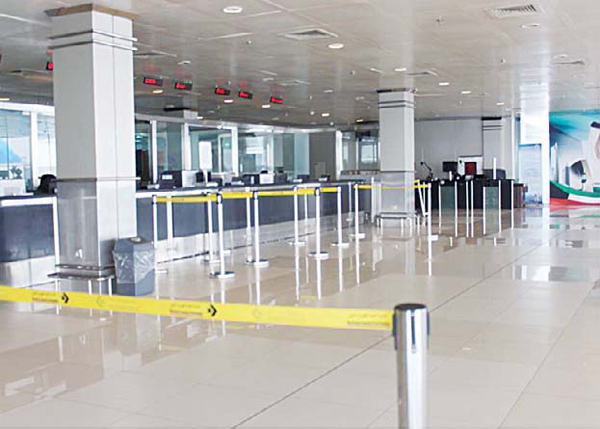 KUWAIT CITY, May 29, (Agencies): The Directorate General of Civil Aviation (DGCA) said Monday it was carrying out refurbishments in Terminal I of Kuwait International Airport for the 2018 summer season. 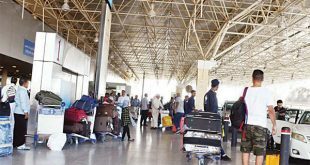 DGCA temporarily stopped additional flights of carriers and will allow airlines to send bigger planes in exceptional circumstances, Director General Yusuf Al-Fozan told KUNA. He said DGCA also transferred 15 percent of traffic to Sheikh Saad Terminal (T3) and Al-Jazeera terminal (T5). 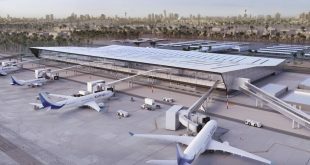 “We seek to transfer Kuwait Airways flights to the new Terminal Four (T4) by end of this summer season,” added Al-Fozan. This distribution, he said, would create a relative balance among the four terminals until the opening of Terminal Two (T2) in 2022. Al-Fozan said new machines were installed to issue boarding passes, and conveyor belts were modernized. 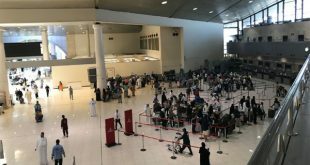 New seats were installed for the senior people at the check-in counters, security check points were increased from five to nine, while immigration counters increased from 10 to 22. 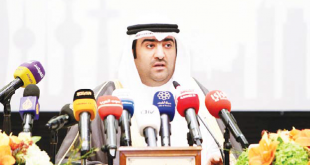 DGCA, said Al-Fozan, would issue messages for the travelers through social media. 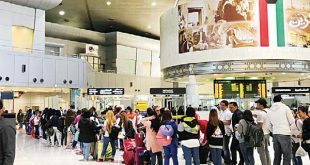 Meanwhile, Minister of State for Housing Affairs and General Services Jenan Bushahari attributed the ground collision of some airplanes at Kuwait International Airport to old infrastructure designed in the sixties coupled with the massive increase in aviation activities, reports Al-Seyassah daily. 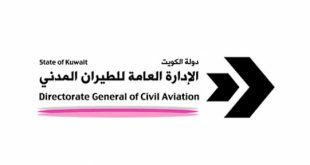 Responding to a question from MP Khalil Al-Saleh, Bushahari declared aviation activities exceeded 641,111 flights in 2017 alone, and Kuwait Airways Corporation covered 30,337 of those flights. She noted the Directorate General of Civil Aviation recently set up a committee to investigate the incessant collisions to unveil direct and remote causes. She also contacted all companies involved in ground and aviation services at the airport to abide by safety and security procedures, indicating the precaution includes preventing ground equipment operators from entering the airport terminals if they have not obtained a safety training certificate, and should be medically fit to perform the job. She reiterated the committee has recommended companies providing ground services to obtain “ISAGO” certificate, and this should be the main condition for granting them authorization to work in the terminal. She reaffirmed a specific period has been given to meet the condition.